The venue of WCEAM 2015 conference, Tampere Hall, is located in a beautiful park area, in the very heart of Tampere in walking distance from train station and hotels. Tampere is an international city of culture, science and commerce. Tampere is Finland’s third largest city located 160 kilometres north of the capital, Helsinki. Unique and beutiful location in between two large lakes, two active ports and a river with rapids flowing through the city centre makes Tampere, inspite of being an inland city, a city of waters . Tampere has a long and rich industrial history from lumber, paper and textile mills of 18th century to high-tech machinery and wireless communication products of 21st century. 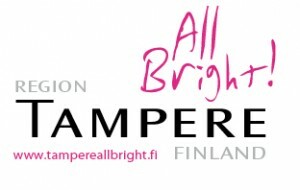 Tampere is also a vivid centre of higher education and research having two science universities and and one university of applied science with combined number of students reaching over 30 000. Active education and research have also attracted many industrial R&D centres to Tampere region. At over 220 years of age, the Tampere of today is an active and culturally rich city of over 220 000 inhabitants. Due to excellent connections and location near to major Scandinavian flight hubs, Helsinki and Stockholm, Tampere is easy to reach from all over the world. Click the image above to access custom Google-map with congress points of interest. Local Public transport in Tampere area is well organized. The ticket can be directly purchased on the bus. Rail transport organized by VR offer fast transport between cities. 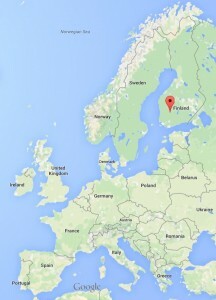 Finland is situated in northern Europe between the 60th and 70th parallels of latitude. The population is approximately 5,4 million. Finland has two official languages: Finnish and Swedish. Most of the Finnish people also speak English. Citizens of the European Union Countries and several other countries do not need a visa for entering Finland. Detailed information about the passport and visa requirements can be found at website of the Ministry for Foreign Affairs of Finland. Congress Office can provide a personal invitation to participate in the conference on request. This invitation is only meant to help the invited participants obtaining a visa. It does not represent any commitment on the part of the organisers to provide any financial support. Please check the validity of your own insurance. The Congress organisers cannot accept liability for personal injuries sustained or loss of, or damage to, property belonging to delegates or the registered accompanying persons during the Conference. The timezone in Finland is GMT + 2 hours. See world times. The currency of Finland is the Euro. Major Credit cards are widely accepted in Finland. Banks and money exchange bureaus with flexible opening hours, such as Forex, can be found in the city centre. Cash payments or credit are not accepted at the congress registration desk. Electricity in Finland is 240 Volts (50Hz). Plugs and sockets are the same as in the continental countries of the EU. Tipping is not expected in Finland.